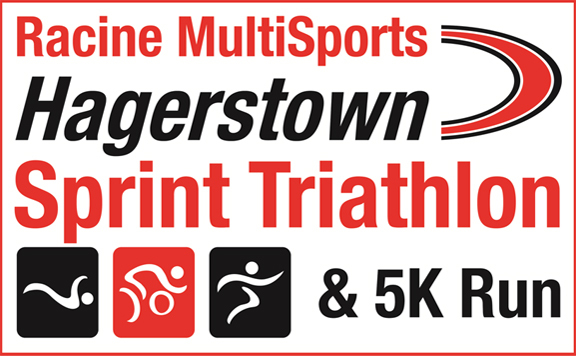 This Youth distance Triathlon will start and end at Halfway Park in Hagerstown, MD…..just 25 minutes from Frederick, MD and 90 minutes from Baltimore and DC. The entire Youth race is within the park and is overall an easy course. – Well organized and professional event, of course! – Free Race Photos. See photo page here of past races. – Satisfaction of finishing a multisport race! – Meeting other athletes and establishing new friends!!! Swim Course: The swim is in a 25 meter pool which is only 4 feet deep. Youth racers will have the swim lane to themselves and will complete 2 lengths (1 lap) for ages 8 & under, 4 lengths (2 laps) for ages 9 to 12, and 6 lengths (3 laps) for ages 13 to 15. Bike Course: The bike course is a 1.5 mile out and back on the park road with a slight uphill on the way out and a slight downhill on the way back. One lap for ages 6 to 10 and 2 laps for ages 11 to 15. BIKE COURSE IS NOT CLOSED TO VEHICLE TRAFFIC. Run Course: The run is on a path and is only slightly rolling. Both the .75 and 1.5 mile distances will be an out and back.